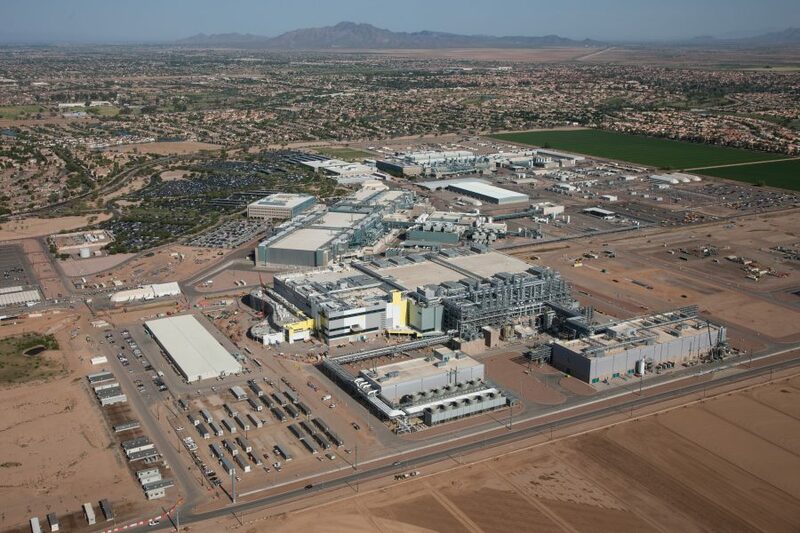 Intel continues to show it is America’s largest high-technology capital expenditure investor — $5.1 billion in the U.S. 2015— with the announcement that it will spend more than $7 billion in Chandler to complete Fab 42, expected to be the world’s most advanced semiconductor factory. When completed in three to four years, the high-volume factory will use the 7-nanometer manufacturing process to make microprocessors that power data centers and hundreds of millions of smart and connected devices worldwide. Fab 42 will directly create about 3,000 high-tech, high-wage Intel jobs for process engineers, equipment technicians, and facilities-support engineers and technicians on-site. Combined with the indirect impact on businesses that will help support operations, Fab 42 is expected to create more than 10,000 long-term jobs in the state.